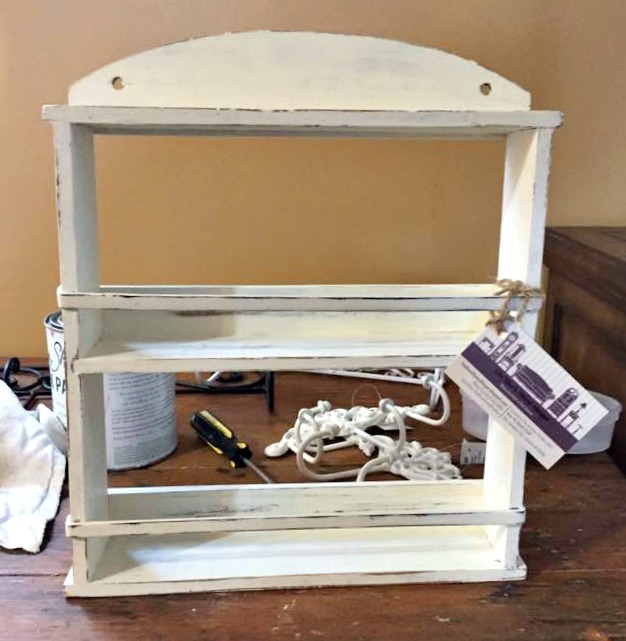 This tired old shelf was transformed with paint and DIY clay rosettes. It was a country style spice rack that I found at a thrift store. First I painted it white. 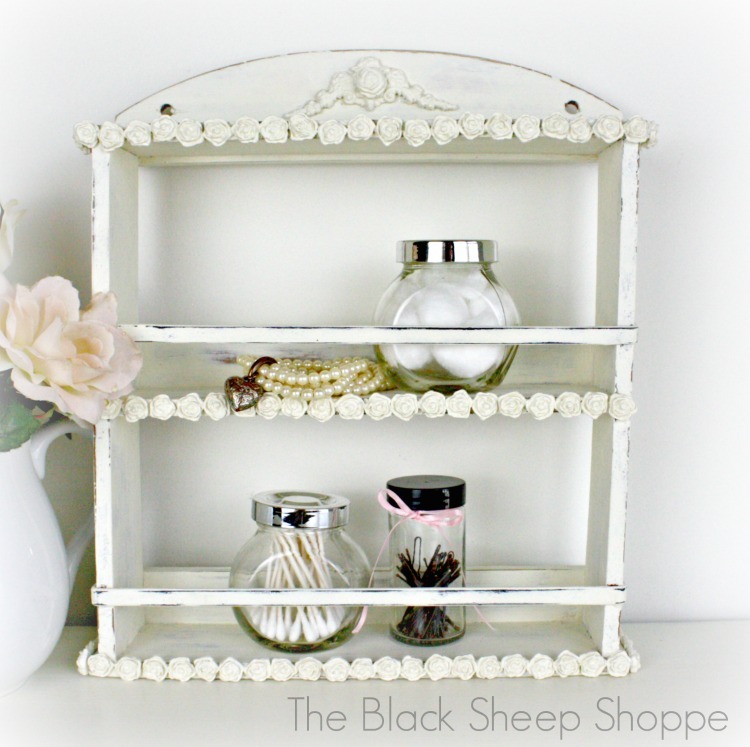 It was a little plain, so I decided to give it a more romantic shabby chic style with rosettes. Paper clay is fun to work with! 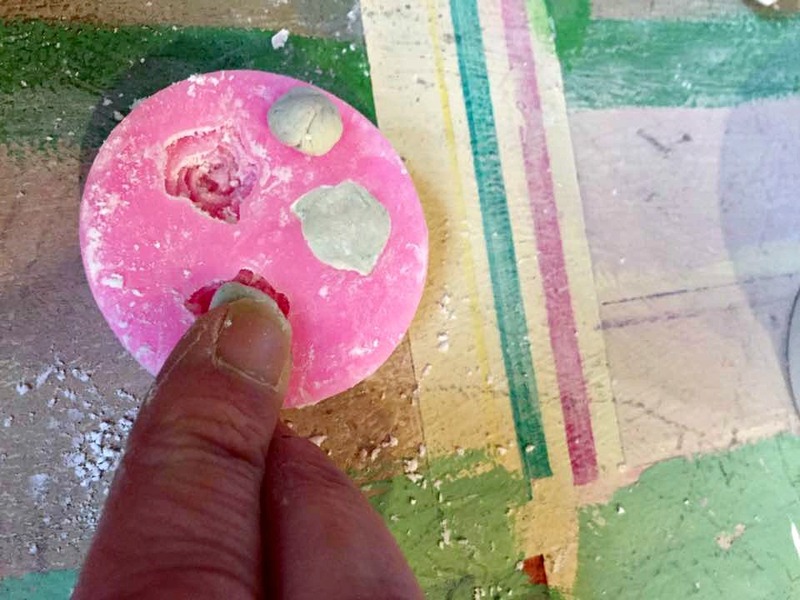 It molds easily and dries to a hard finish. Ater I'm done working with the clay I use my food vacuum sealer to re-seal the package so the remaining clay remains pliable for the next project. The first mold I created was for the top of the shelf. It is from the set Baroque No. 4 by Iron Orchid Designs. 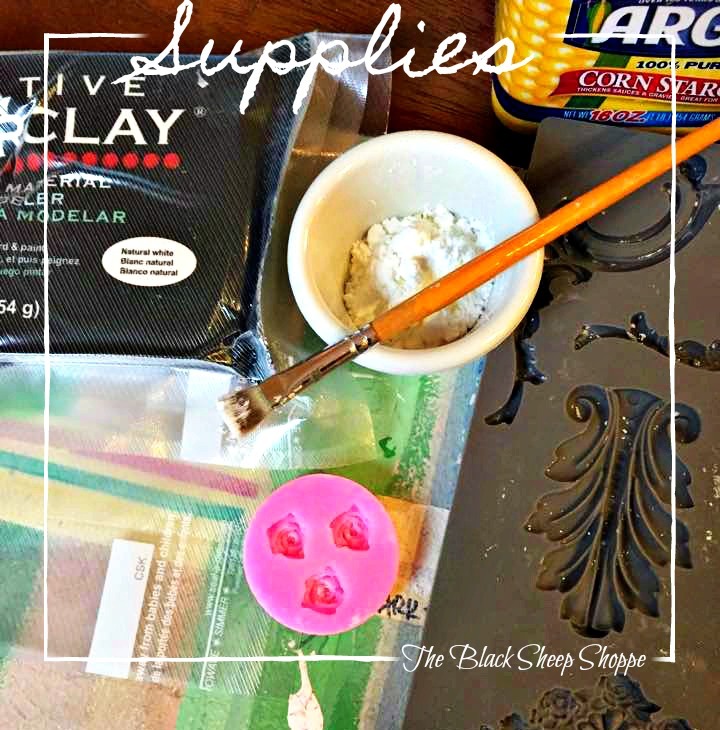 First dust the mold with a generous amount of cornstarch which will help easily release the clay. Next press the clay into the mold. I used a flat spatula dipped in a bit of water to smooth out the back. Finally, I bent the mold to release the clay onto my work board. It's probably best to let it dry overnight, but I did these in the morning and it was dry later in the day. For decorations around the borders, I used a silicone mold with roses. The set I purchased comes with 4 molds with a variety of shapes and sizes. These are very tiny roses and I needed a lot of them to cover the borders. Luckily I could make three at a time, so it actually went a lot quicker than I anticipated. I also made one larger rose to affix to the baroque design that I made earlier. Silicone molds and paperclay roses. 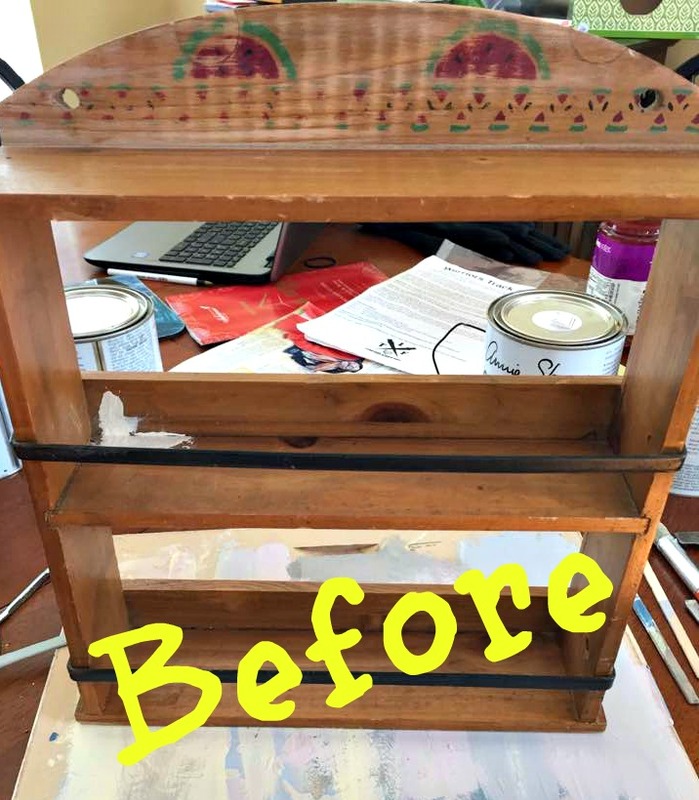 It can still be used as a spice rack, but I think it will work even better as a shelf in a bathroom or dressing closet to organize and store odds and ends. I used E-6000 glue to affix the paperclay molds to the shelf and then applied paint. 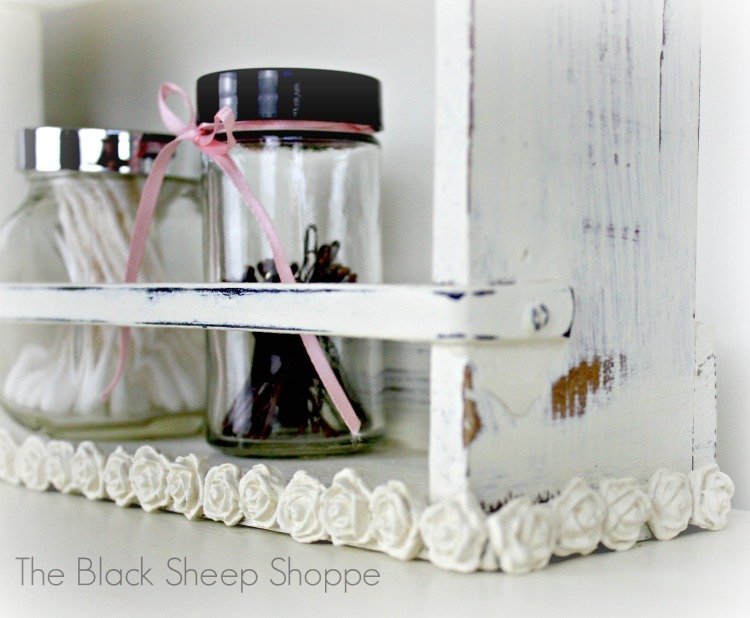 I used a liquid wax to seal the paint on the roses, but I think Mod Podge would work just as well. I didn't get a good shot of the mold on the top, but if you look closely you can see where I added the rose to the baroque applique. Paperclay roses adhered to borders. The shelf has two holes at the top so it can be hung on a wall. But the bottom is flat, so it can also be used to rest on a counter or dresser. So I was careful to make sure that the roses applied to the bottom would line up evenly and allow the shelf to sit level. 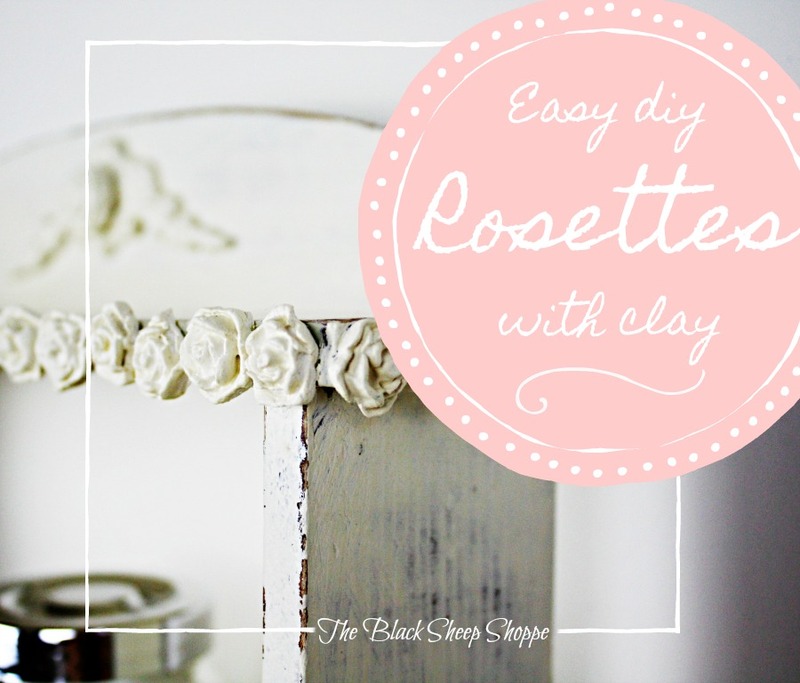 Clay roses used for embellishments. 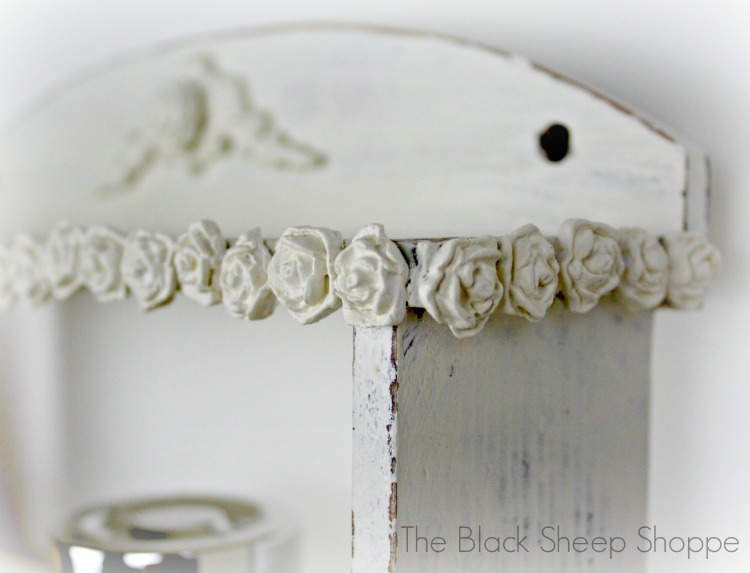 I love how the little roses look against the distressed paint. 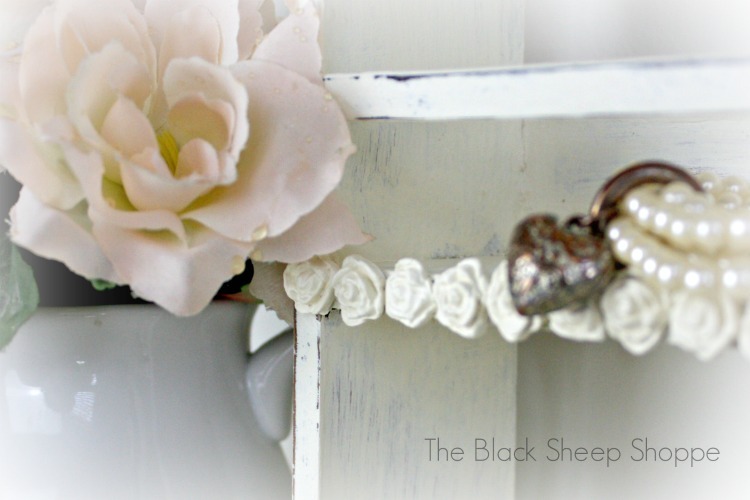 Decorative roses create a shabby chic design. E6000 glue I purchased a larger tube that had a narrow applicator tip so it was easier to control the glue on a relatively small space. It's also sold in smaller sizes which are great if you don't work on a lot of projects. It's not the same as "superglue" and adheres much better. Americana Decor Creme Wax I used this wax to seal the paint on the flowers as it has a more liquid consistency than the ASCP wax and was easy to brush on into the little crevices of the flowers. Alternatively, you could use Mod Podge to seal the paint. Vacuum sealer used to seal up the left over paperclay. This will keep the clay fresh and pliable for the next project. I also use it to seal up containers of wood filler which is notorious for drying out. Oh yeah I use it to seal up food, too.